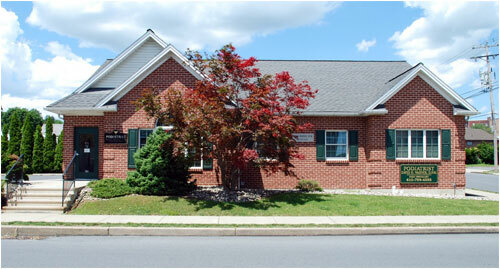 Dr. Warner has been treating patients in the Lehigh Valley since 1983. He enjoys treating a full range of foot problems in both adults and children. Dr. Warner is a native of Nazareth. Serving the greater Lehigh Valley area, including Nazareth, Allentown, Bethlehem, and Easton, PA.
We would like to welcome you to our podiatry practice in Nazareth, PA. If you are looking for a podiatrist in the greater Lehigh Valley area, we hope you will consider letting us take care of your feet. Our doctor, David H. Warner DPM, is licensed and board-certified and enjoys treating patients of all ages from infants to the elderly. Our staff has many years of experience in treating a complete spectrum of foot and ankle problems. We promise to listen to your concerns, and offer you high quality treatment in a friendly and approachable manner. Because we know that every stage of life brings new and unique challenges to your feet, we strive to provide you with customized foot solutions at every juncture along the way. Our goal is to work together with you to find solutions that improve the health of your feet and bring you comfort and relief. For your convenience, we offer a wide-range of in-office diagnostic services, as well as off-street parking and handicap-accessibility. Please browse our website and get to know us. You will find more information about Dr. Warner, directions to our Nazareth office, hours, insurance policies, and appointment scheduling procedures. We’ve also included an extensive section on this website dedicated to informing you about a full array of podiatry topics including conditions, diagnoses, treatments, and prevention because we believe that informed patients make better decisions about their health and well-being. We encourage you to look through these pages whenever you have an interest or concern about your feet.